Aluminium Casting, incorporated its operations in the year 1995, and is one of the leading manufacturers and exporters of castings and components, today. We offer a wide range that includes: Aluminium Sand Castings, Aluminium Casting Products, Aluminium Machined Components, Aluminium Gravity Die Casting, Tyre Re-trading Castings, Castings in Tyre Manufacturing, Fan Blades, Impeller Castings, Aluminium Impellers, Castings for Ship Building, Castings for Boat Building, Propeller Blades, Castings for Marine Industry and more. 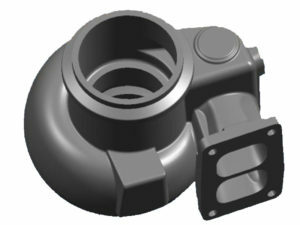 All these castings are available in standard and custom-modified dimensions and designs, as demanded by buyers. Aluminium Sand Castings, Aluminium Casting Products, Aluminium Machined Components, Aluminium Gravity Die Casting, Tyre Re-trading Castings, Castings in Tyre Manufacturing, Fan Blades, Impeller Castings, Aluminium Impellers, Castings for Ship Building, Castings for Boat Building, Propeller Blades, Castings for Marine Industry, Fencing Castings, Fencing Gates, Architectural and Ornamental Castings, Trellis Castings, Jollis, Tile Castings, Construction Castings, Castings for Construction Equipment, Relief Valve Casting, Valve Casting, Rain Water Harvesting Castings, Castings For Agri Equipment, Pulley, Wheel Castings and more. All these castings are available in standard and custom-modified dimensions and designs, as demanded by buyers. We have carved a niche the domestic and in the overseas markets owing to the product quality, price competency and ethical business approach. Using qualitative raw material in manufacturing begets better quality in the final output and we implement this. In addition to this we also test our products for compliance to international standards. We can offer certificates of our range of castings with chemical, mechanical and metallurgical details, if required by client. Our castings & components are in compliance with the international quality standard and hence are used in different industries like automobile, aeronautics, agric equipment, construction, defence, electrical, furniture, home appliances, marine, railways, water works & pipe fittings etc. Our company has grown from strength to strength under the proficient guidance of our mentor. Who has with him affluent industrial experience of 28 years and his efforts to benchmark the performance of Aluminium Die Casting Industries have been widely appreciated by clients. His experience has enabled us to perform as a highly reliable and efficient casting, engineering machined parts and components manufacturer and exporter.